So by now, you’re probably asking yourself the following question – what’s the true cost of a gastric band? Your health may actually be the most important thing in your world right now, and quite rightly so. However, the financial cost of having a surgical gastric band fitted, or maybe the gastric sleeve operation, is perhaps the most pressing question for many overweight would-be patients. 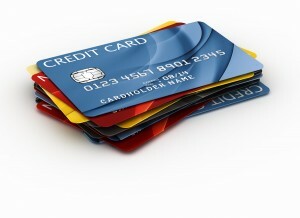 Quick research indicates that the cost of having a gastric band surgically fitted is in the region of £4,500 to £9,500. The surgery-free GMBand option, covered later, is of course considerably less expensive, with surprisingly similar results and, of course, far safer. Read the Clinical Evidence page on this site to understand why over a thousand people have flown from around the world to the clinic in Southern Spain to complete the treatment. And yes as surprising as it sounds, the non-surgical gastric band and gastric sleeve option, do exist, do work and have been providing a weight loss solution for over ten years! With costs starting at just £1,495, with the same weight loss results, our viable gastric band alternative deserves more than a little consideration. It’s fairly natural to think ‘how much?’ What are the costs of a surgical gastric band or gastric sleeve operation before thinking ‘how safe is it?’, or even how successful will it be, however it is illogical… so gastric band cost and gastric band prices are words that run naturally together. And that will in most people’s minds mean the cost of a private banding operation. So what is the real cost of a surgical gastric band? Researching gastric band costs turns up so many figures it’s hard to present any one as the average. In the United Kingdom there was a controversial price war reported, which led to prices, (specifically in Scotland), falling, depending on the provider, from nearly £8000 to under £5500. Elsewhere you might find offers of around £6000 or even less. The non-reversible gastric sleeve operation tends to be a little more expensive. If you decide to take the overseas route to surgical weight loss, you could go long-haul with flight costs adding to the bill, or, for example, opt for Belgium with UK aftercare, at £3400 or Prague offering 40% weight loss in the first year at a basic rate of £3800, or ‘all inclusive’ for £4500. It’s a bewildering choice, if you spend time surfing the subject. But just how important an element should the cost factor be? What if you have the operation done abroad and three months down the line an infection sets in, and you require three months off work? Maybe your partner will require time off work unpaid as well. What if immediately following surgery you are not well enough to travel home – who will pick up the costs for an extended stay in a foreign country, and how much could the costs run up to? But failure, or medical complications, are not limited to those travelling overseas; the media is constantly covering scary stories concerning patients at some of the more respectable medical centres in the UK. You really should first research our non-surgical gastric band and gastric sleeve procedures. At the British-run Elite Clinic in Spain, where the treatment was pioneered by Martin and Marion Shirran, the costs start at just £1,495. That’s considerably less than the surgical alternatives, with similar success rates and zero risk of medical complications. Clients undertaking the treatment at the Elite Clinic in Spain, which is just a twenty minute taxi ride from Malaga Airport, are guaranteed to be treated exclusively by Martin and Marion Shirran, always on a strict one-on-one basis. So what’s the difference? And how does it work? 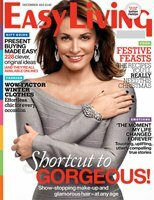 Easy Living featured the GMB treatment. 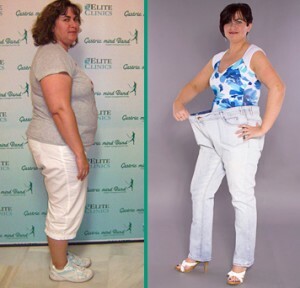 The Gastric Mind Band procedure carried out at the Elite Clinic in Spain is probably the most researched and developed permanent weight loss treatment in the weight loss arena. Often now described as the ‘Gold Standard’ in its field, it has become something of a phenomenon on both sides of the Atlantic, developing into the treatment of choice by members of the public and celebrities alike. Since its development it has gone on to be the subject of the bestselling book, The Gastric Mind Band, published world-wide by Hay House. Therapists from around the world now visit the British run clinic to be trained and accredited in the trademark protected procedure. You can email or phone the clinic for details of availability; late bookings are sometimes available, and the treatment is completed over three days as part of a mid-week or a long weekend visit. You should note that the GMB procedure incorporates a number of specifically developed weight loss focused cognitive elements that are exclusive to Elite Clinics. 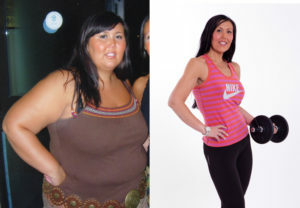 Gastric Mind Band clients benefit from the considerable research and development that went into the GMB method. The developers, Martin and Marion Shirran, have now built up over eight thousand one-to-one clinical hours working with people who fly to the clinic from around the world, each determined to achieve their ideal body weight. At the end of the GMB treatment, each client leaves the clinic with his or her own set of carefully prepared tools – most are completely unique to the GMB treatment including a very extensive manual, and a set of individually produced Digital recordings of each of their sessions. And clients have no fear of a return to the old yo-yo dieting scenario. This is a permanent solution. The cost of the GMB treatment is inclusive of all blood tests and analysis, along with full body analysis. The question on your mind right now is, does this work? And it’s a fair point. Visit the Case Studies section on this web site, read the many past client reviews, also take a look at their verified Before and After photos. Read in the Press Section the independent reviews of journalists that have flown to Spain from around the World to complete and report on the treatment, like Claudia Connell of the Daily Mail, Sarah Vine of the Times, or Helen Ledera of Sky TV. To finish off, visit the GMB Clinical Evidence Page, read the research as presented at a world Psychology Conference by Dr. Sarah Clarke to a global audience at Warsaw University. At the Gastric Mind Band clinic we are totally committed to following up our clients, and on-going research and development. We are proud that we offer the most thorough answer to those wanting a lifelong solution to their weight problems. The treatment does not stop when you walk out the door, however. Ongoing support is available via Skype and telephone contact continues as your lose weight. Visit the Case Studies section of this web site, and check out the reviews from past clients. If you are still in any doubt why not read the many independent reports and reviews on the Press page. Martin and Marion Shirran, the developers and trade mark owners of the Gastric Mind Band procedure, have been featured in just about every newspaper and magazine in the UK. They were also flown to New York be interviewed on the two largest US news channels. Their Gastric Mind Band has now become something of a phenomenon on both sides of the Atlantic, developing into the treatment of choice by members of the public, and celebrities alike. The procedure they developed has since gone on to be the subject of the bestselling book, The Gastric Mind Band, published by Hay House. If after reading the information on the website including the past clients stories and reviews you decide to book your GMB treatment, the booking procedure could not be easier, simply contact us by phone or email us with details of your chosen dates. Once availability is confirmed we will email you an online payment invoice for your deposit of £495 which can be paid by PayPal or credit card, enabling you to spread the cost.